I’ve knitted and crocheted in fits and starts for as long as I can remember. My mom showed me how to do both – along with crewel, candlewicking, embroidery and cross stitch – when I was a little girl. 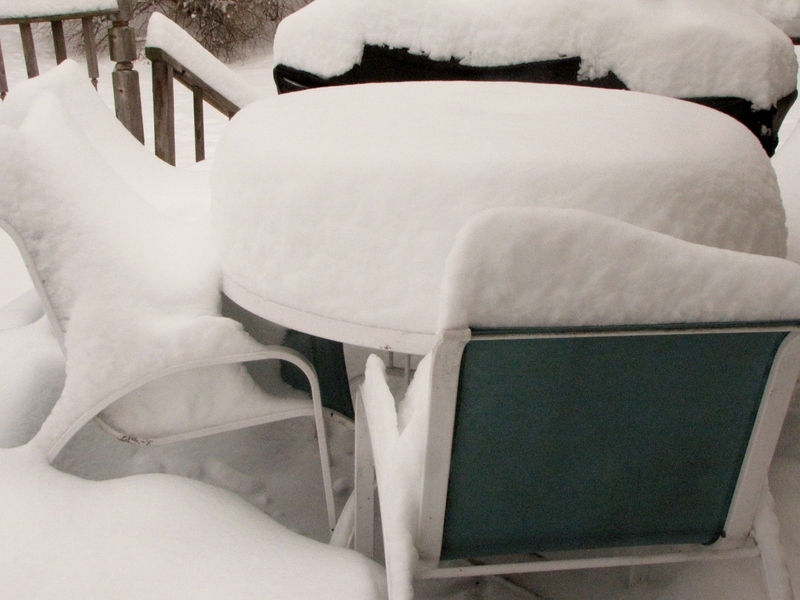 I took it up again, in earnest, about eight years ago. 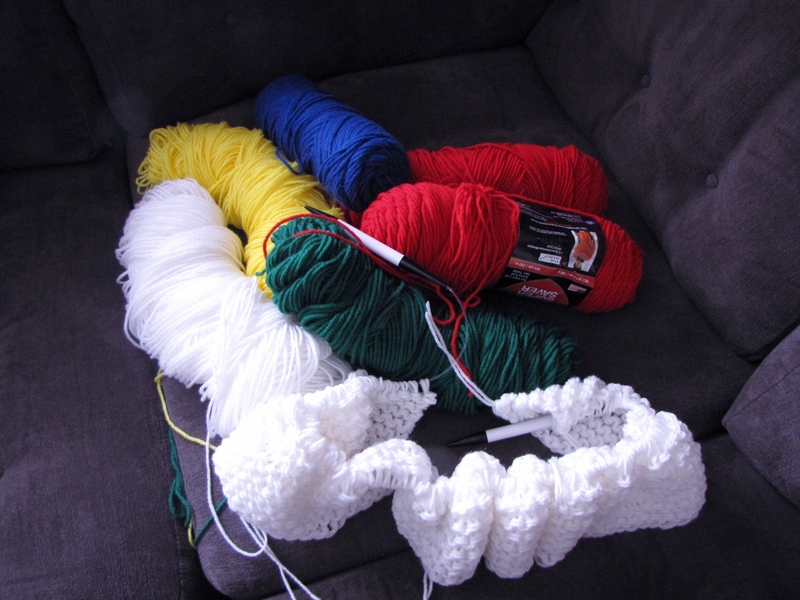 In the meantime, I’ve accumulated a LOT of yarn. Much of it is Red Heart Super Saver and I have been looking for ways to use it up. My stash also includes a lot of high quality yarn. Right now, though, I’m on a mission to use up as much of my stash as I can before I buy more new yarn. I feel especially motivated to make blankets when I look out the window at the beautiful snow outside. 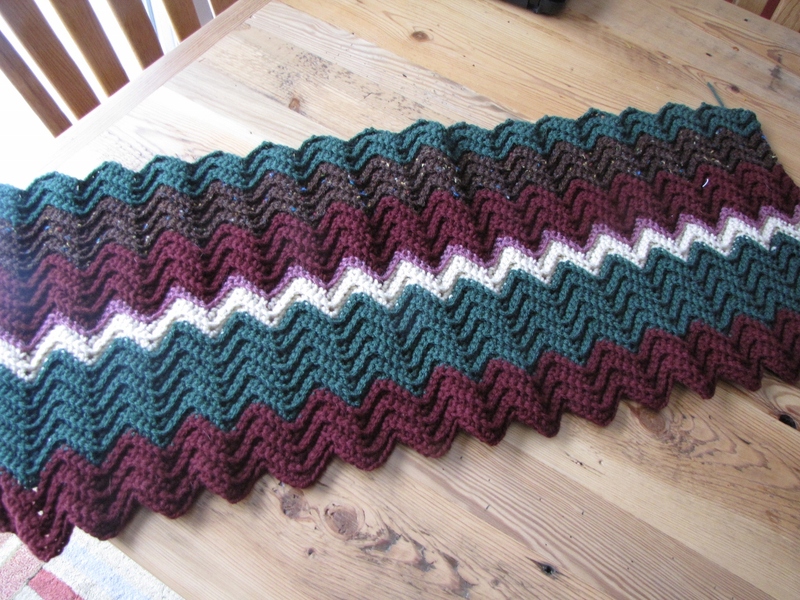 My attempts to use up the scrap yarn resulted in this really ugly ripple – which I’m not going to finish. Then I got inspired by the stripes that are in the Hudson’s Bay Company blankets. Lo and behold! I just so happened to have blue, yellow, red and green in my collection. I think this is a project that I can finish. It’s already going quickly. I’m knitting it in the garter stitch on size 17, 36″ circular needles. I’m still not sure how I’m going to use up the rest of my stash or if I’ll be able to refrain from buying more yarn before I do. 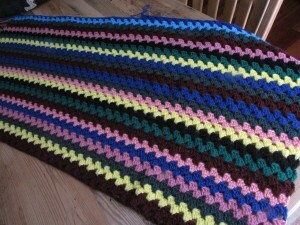 Please share any scrap yarn blanket ideas if you have them. Thanks! 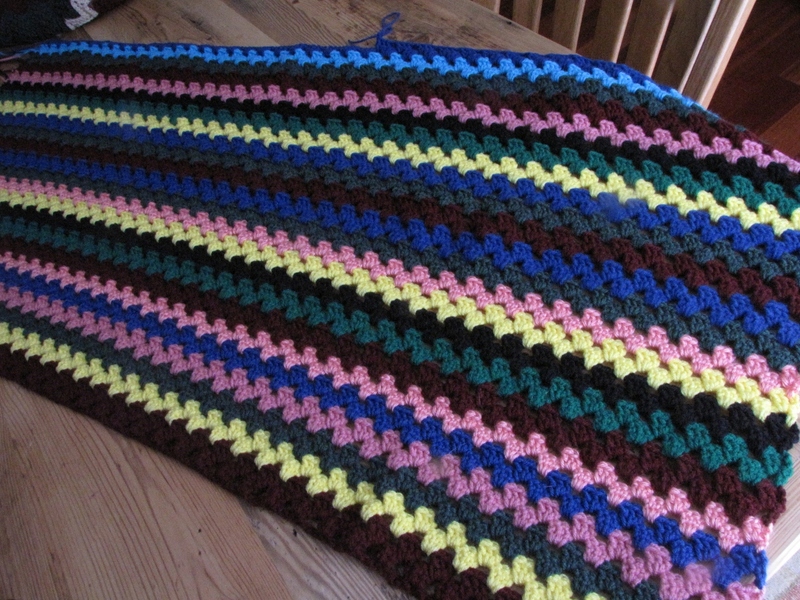 I’ll post updates about the blanket as it progresses.